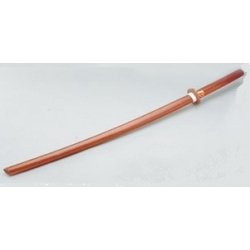 Beautifully crafted to resemble real samurai swords, this hardwood sword is great for practicing techniques without the danger of using a "sharp" sword. Length is 29-1/2 inches. Two piece handguard included.